One of the best ways of ensure that you make the most use of your hard-earned money is by reducing credit card debt. Many people have been heavily dependent on credit cards for making purchases. The convenience it provides makes more people use it more and more. But sometimes, they can overdo it and accumulate credit card debt which usually comes with high interest rates. Before your credit card debt gets too big to deal with, here are some tips that will help you pay it off. Pay off high interest debts first. Debts with high interest can substantially eat up on your income. It can reduce your ability to pay your debts. If you can deal with them as early as possible, the better. It can free up more of your income that you can pay on your other debts that will otherwise be used to pay off the interest on your credit card debt. Deal with the smallest debts. Another good way of dealing with your credit card debt is by paying off those debts with the smallest balance. Once you pay them off, it will give you a sense of accomplishment and will further encourage you to deal with your other credit card debts little by little. Once you develop this habit of paying them off one by one, you will be able to pay them off soon enough and become credit card debt-free. 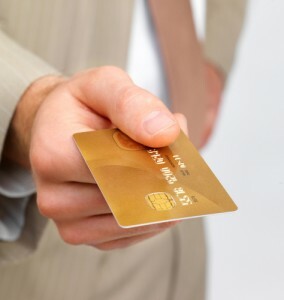 Consolidate your credit card debts. Another way you can deal with your multiple credit card debts is by trying to consolidate them into one. This will help you deal with paying just a single debt instead of multiple smaller ones. You can also consider consolidating all your high interest credit debts and pay them off with a credit card that offers a lower interest rate.